Deuce’s life took an unexpected shift when he found himself connected to a virtual fantasy world filled with ‘Authors’ as players. A genetic defect had some unexpected results on his transition, and now he's facing a world more vibrant and dangerous than anything he’d come across in his previous life. If you have a problem with Parody, Satire, Making Fun of LitRPG Authors, Mutants, Cannibals, Harems, Depravity, Dirty Jokes, Clean Jokes, Puns, Making Fun of Facebook Drama, Fun times, Mouth Dropping moments, ‘Oh crap, no he didn’t’ scenarios, or daddy issues… walk away. 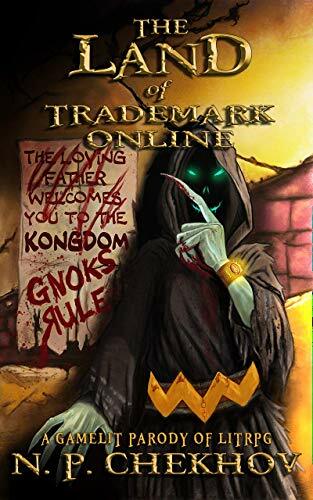 This is a parody and satire LitRPG that makes fun of the just about every well known LitRPG author, insider Facebook drama, genre tropes, and a lot of other stuff. While the story outside that aspect is still LitRPG with RPG mechanics, the big draw is going to be the parody and satire. Seeing if your favorite or least favorite author is included in being made fun of. Full disclosure, I also take a hit in the story and that’s perfectly ok with me. I feel like parody and satire are important aspects of criticism and reflect public perception of events, though exaggerated and lambasted. I know some authors will not be pleased with the story. The story personally made me pause for a second and think about how some drama is viewed, which just means the story did its job. Other times, I just laughed at the humor and the depictions. Overall, I think the story will most appeal to people that have some kind of knowledge of the real Facebook drama or have favorite/least favorite authors depicted. Tagged: The Land of Trademark Online, N.P. Cheekhov, Action, Parody, Satire, Controversal, Adult Humor, Sexual Themes, Monk, Pugalist, VRMMO, Kindle Unlimited, Score: 7 out of 10.